Introducing WaveTree HD. High Capacity Network for New Generation. Apply for HD connectivity today and join the internet revolution. An ultra High Speed Wireless Network that will connect you to our wireless Gigabit network and boost your regular connection with the HD power. It has more bandwidth capacity than any 4G connection. The High Capacity Data Link that connects you to our Distribution Nodes with 100 ~150 Mbps data capacity. Our Regular Connectivity comes in 2.4ghz frequency which is widely used for wifi networks. But those frequencies now very much congested, as a reason the connectivity on this frequency is not smoother. 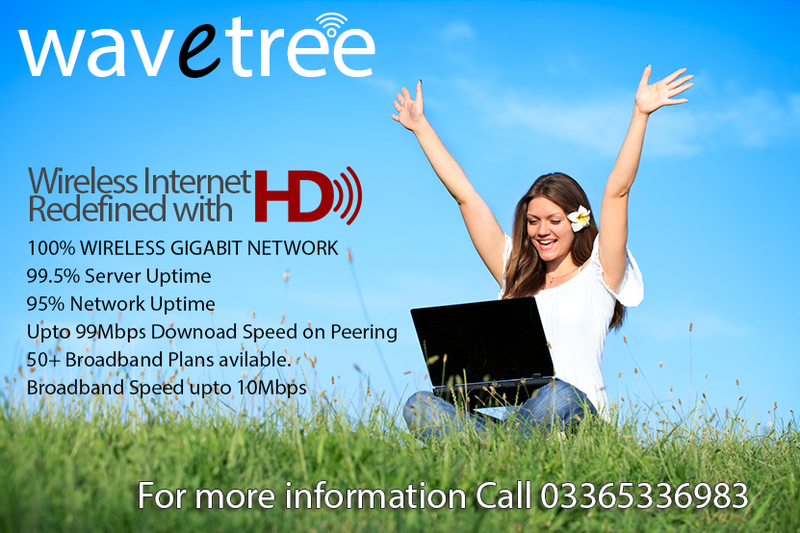 Wave Tree HD connections comes with a 99% uptime, that means you are always connected with our network. Also HD connectivity gives you to avail New HD Packages, that is designed for HD only. Why go for a wired connection when you can get upto 150Mbps Ethernet connectivity on Wireless. SWITCH TO HD TODAY !! !